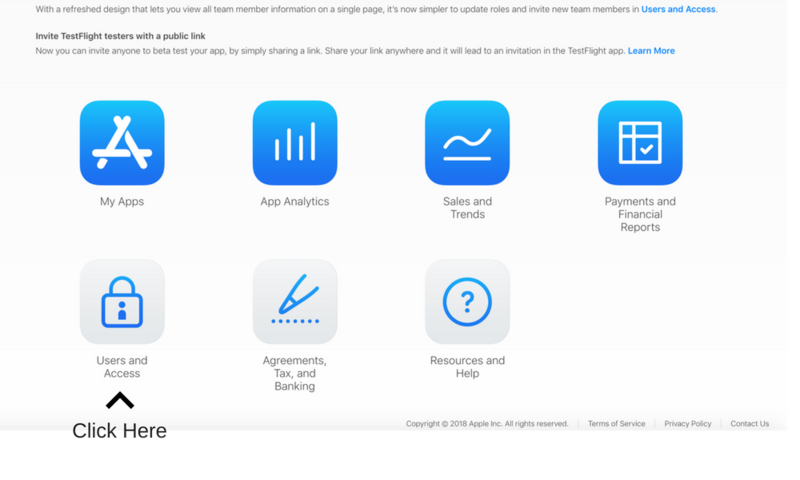 In order to grant Drobile access you MUST sign up for an Apple BUSINESS account. Please do not forget this as personal accounts don't allow for member invites. 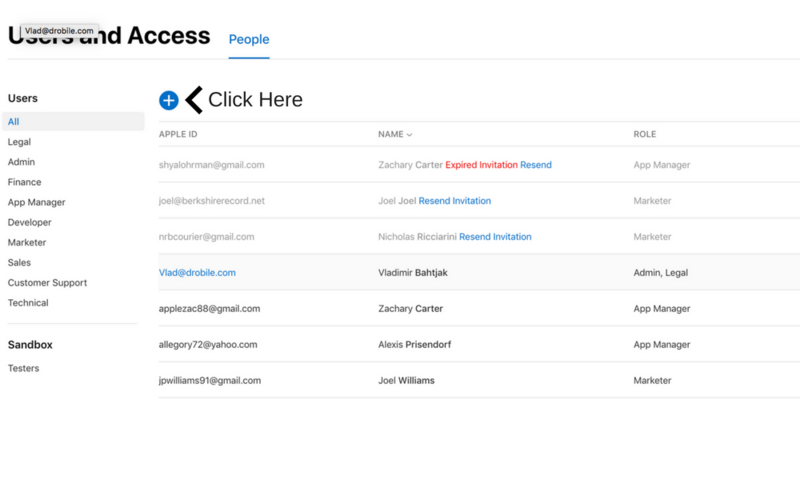 If you happen to sign up for a personal account, you will need to work with us one on one to get us specific access to your iCloud as an authorized number. Having a business developer account is much easier to control and the submission time will be significantly reduced. 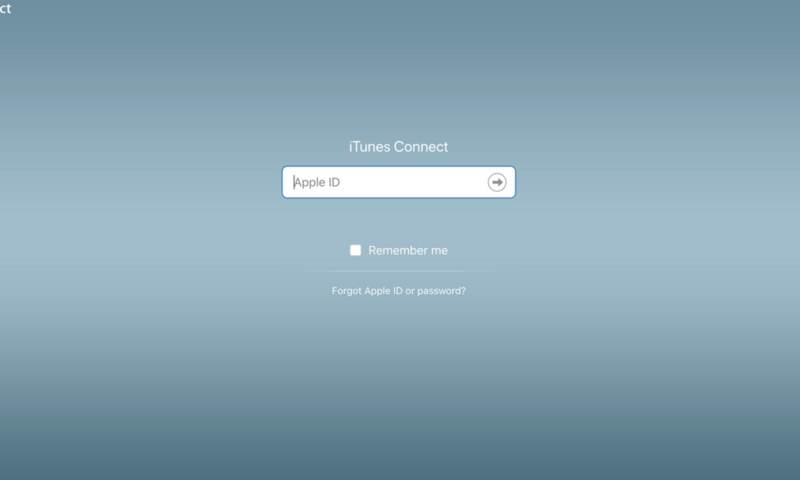 If you are NOT already logged into your iTunes connect account, you will see this screen. If you are already logged in, follow the step after. Simply enter your credentials and login. After clicking the Users and Access(or clicking the above link), you will be taken to a page that looks like this. Click the blue + icon. After clicking the blue + icon you will see a screen like this. Simply enter the information as seen in the screenshot below. Vlad as the first name. Bahtjak as the last name. 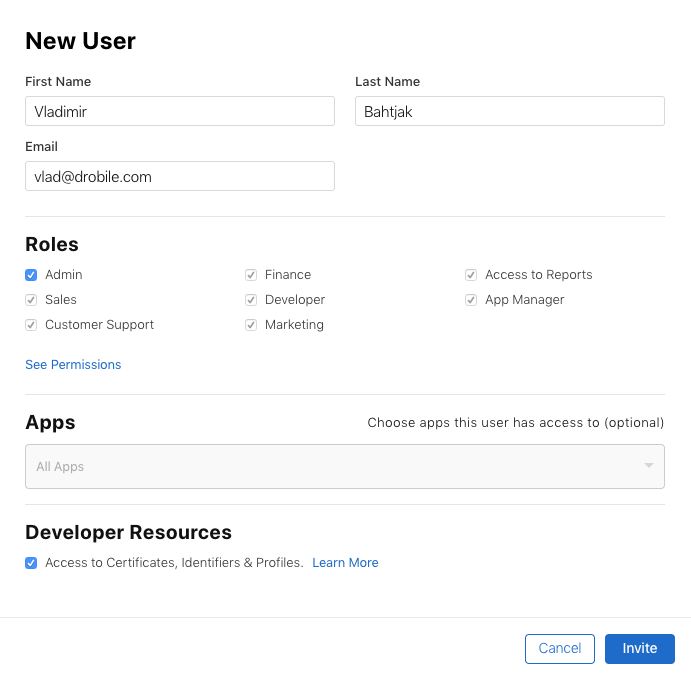 Vlad@drobile.com as the email. After the fields are entered, click the blue Invite button. Make SURE "Access to Certificates, Identifiers & Profiles" is checked at the bottom.